What's your mood like from week to week in your monthly cycle...and how can you make it better? What’s your mood like from week to week in your monthly cycle…and how can you make it better? Home > hormonology guide > What’s your mood like from week to week in your monthly cycle…and how can you make it better? 24 Aug What’s your mood like from week to week in your monthly cycle…and how can you make it better? Ever wonder why some days you feel optimistic, hopeful, even downright giddy? Yet, other days nothing can put a smile on your face? A key reason could be your hormones. Your mood, outlook and confidence are all impacted by the ups-and-downs of your hormones throughout your monthly cycle. However–and this is a big “however”–I want to point out that hormones are still only one factor that affect your mood. There are many other factors that impact how you feel, such hunger, stress, medications, how well or poorly you sleep, illness, pain, doing meditation or yoga, exercise, starting a new job, falling in love, suffering heartache and so on. So, I want to give you a week-by-week Hormonology Guide that shows you how your hormones are impacting your mood from week to week in your monthly cycle. But, I want you to keep in mind that these hormonal mood effects are general–and your mood can be influenced by any of the factors I mentioned above or obviously others factors that personally affect you emotionally. I’m also including easy tips to help you make every week of your cycle happier. Read on to find out more about your…. Estrogen starts off at rock-bottom at the beginning of this week and makes a slow climb upward. Depending on your sensitivity to this rising hormone, you could feel your mood, outlook, confidence and optimism rise just a few hours after menstruation starts or it could take a couple of days for this hormone-fueled brightness to kick in. No matter what your sensitivity, most women tend to notice a distinct surge in good feelings by the middle of their Week 1–around Day 4. The reason estrogen can have such a positive impact on your mood is because it helps the brain produce feel-good chemicals–and the higher your estrogen level rises, the more mood-lifting chemicals your brain churns out. Make this week better: You can help your mood improve more quickly in your Week 1 by eating iron-rich foods (such as beans, lean meat, spinach and tofu) or taking an iron supplement (15 mg. for women ages 14 to 18; 18 mg. for women ages 19 to 50) to make up for iron that’s lost during menstruation, which can trigger the blues or irritation. For most women, Week 2 is the time when your inner happiness reaches its cycle-long peak. Credit goes to estrogen, which rises until it reaches the highest point it will go in this week of your cycle–and the high level of this hormone prompts the production of more mood-elevating brain chemicals. 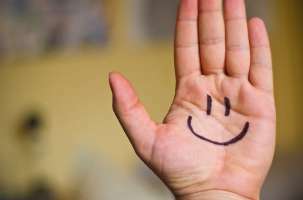 While this doesn’t guarantee that you’ll be grinning ear-to-ear, sprinkling fairy dust and drawing rainbows 24/7 throughout your Week 2, it does mean that you’re more prone to feeling upbeat, confident and optimistic. And, you’re more likely to bounce back from any annoying setbacks faster thanks to this hormone boosting your resilience and flexibility. Make this week better: Think that because estrogen is already super-high in your Week 2, you can’t make good feelings even greater? Not so! Thanks to this elevated hormone, whenever you do something you enjoy–such as hiking, hanging out with friends or playing guitar–your brain delivers an even bigger surge of happiness-triggering chemicals than it would if you did the same fun stuff in other weeks of your cycle. This makes it a perfect time to schedule time for your favorite mood-boosting hobbies, activities and events! During the first half of your Week 3, your level of estrogen drops sharply. As a result, the levels of mood-elevating brain chemicals drop with it, which has the potential to trigger a bit of the blues, frustration or anxiety. At the same time that estrogen is plunging, progesterone rises–and this hormone continues to rise all throughout this week. Depending on your sensitivity to progesterone–which is a hormone with a sedating effect–you could feel mellow or possibly blue or weepy. By the second half of your Week 3, estrogen rises again, taking off that edgy feeling you may have experienced as this hormone dropped. However, because sedating progesterone is rising along with estrogen, you won’t experience that super-elevated joy and confidence you felt in your Week 2. You’re more likely to experience something like a gentle calm. Make this week better: Progesterone makes many women more sensitive to blood sugar dips between meals, which means if you get hungry, you could also get really cranky. So, it’s key to eat your regular meals throughout the day–no meal-skipping–and you may also want to keep a nutritious, filling snack (such as a low-fat granola bar or yogurt) nearby so you have something fast to munch on if you notice your tummy start to growl. It’s no secret that during your premenstrual week, things can take a downward turn. You could feel moody, irritable, sad, weepy, pessimistic and cynical. That’s because estrogen drops steadily throughout this final week of your cycle, which can drag down levels of feel-good brain chemicals with it. Thing is, how frequently or intensely you experience negative emotions throughout this week can depend on many factors, such as your personal sensitivity to this hormone fluctuation, how much sleep you’ve gotten, how regularly you’ve been eating, how nutritious your diet is, how much stress you’re under, if you’re ill or in pain and if you’re on any medications–just to name a few. And, just to keep you on your toes, your sensitivity to this dipping hormone can change from cycle to cycle due to one or more of these factors. Generally speaking, the healthier your lifestyle (exercising regularly, eating good-for-you foods, getting seven to eight hours of sleep nightly, reining in stress, etc.) the better your premenstrual mood is. I’ve reported on many other ways to reduce negative premenstrual moods in my Hormonology blog, which you can read here. The good news is that bad moods are typically not a constant presence in your Week 4. They tend to just pop up here and there, interrupting an otherwise mellow day. Make this week better: Your estrogen may cause feel-good brain chemicals to rise and fall, but, hey, it’s not the only thing that impacts these key mood-moderating chemicals! You can counter plunging estrogen’s effects and rev positivity by temporarily boosting these brain chemicals back up a variety of ways, for instance, with exercise, doing your favorite activities and treating yourself to something special, like a bubble bath or massage. Important: If you get intense mood swings, uncontrollable anger, depression and/or anxiety that interferes with your life during your premenstrual week, you could have “premenstrual dysphoric disorder” (PMDD)–a severe form of premenstrual syndrome (PMS). If this sounds like you, talk to your healthcare provider about it because there are treatments for it. Learn more in my PMDD guide.